According to the Institute of Inspection Cleaning and Restoration Certification (IICRC) standard for professional water damage restoration (ANSI/IICRC S500-2006), Category III water damage (often called black water) is water damage to a structure where the origin is unsanitary or potentially infectious to humans. The black water classification also includes less contaminated water not treated in a timely manner. The classification depends on the origin of the water damage and the time of exposure – regardless of the actual color or appearance of the water. 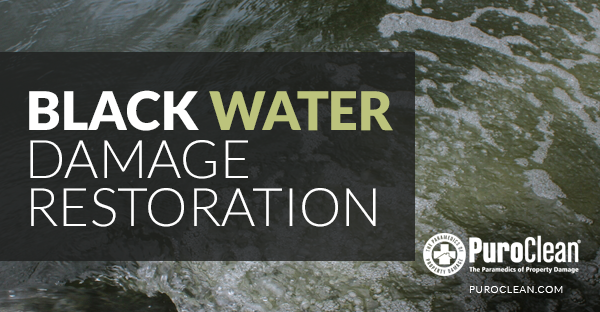 Some examples of Category III black water include: all sewage backflows and all rising water from rivers, streams, and seawater that enter a structure. Hurricanes and storms are usually the causes of this type of damage. When dealing with Category III water damage, our professional restoration business considers several basic factors. First, the safety of the building occupants and our workers is our primary consideration. Second, we conduct a thorough inspection to determine the severity of the damage since that will affect the restoration process. Third, we focus on the rapid removal of excess water, the removal of all contaminated porous items, and the proper disposal of the sewage and other wastes. Finally, we establish a Balanced Drying System to restore the environment to its pre-loss, normally dry state. Safety in all instances is our first consideration when exposure to Category III contaminates is a possibility. Category III water intrusion could contain many harmful viruses including Hepatitis A, Rotavirus, Adenoviruses, and Enteroviruses. Several parasites and many kinds of harmful bacteria could also be present. And, of course, numerous fungi in the form of mold spores are also present and can become a serious problem if timely decontamination does not occur and if professional drying does not begin within twenty-four to forty-eight hours. Category III Level 1 contamination is usually a very limited waste problem. It always originates inside the building or house, affects a small area, does not affect porous material, does not penetrate the structure, and has had limited time of exposure. A small toilet overflow is one example. Category III Level 2 contamination also originates inside the building. However, the area of direct contamination is larger. Porous materials as well as non-porous materials are affected. Restoration must be more thorough to include removing moisture barriers like vinyl and plastics that will contain the contamination. Cabinets and other structural enclosures must be inspected and possibly removed if the contamination is present – especially if it is inside the walls behind these items. All contaminated porous items such as drywall, carpet, pad, upholstery, drapery or particleboard furniture must be removed and properly disposed of. Category III Level 3 contamination includes water and waste coming from an outside source such as a septic system, main sewage line, rivers, streams and ocean waters. Level 3 indicates more contamination for a longer period and presents a much greater health risk. All black water losses present serious risk of illness. Therefore, we make sure that our employees wear appropriate personal protective equipment. For Level 1 losses, eye protection, gloves, and boots (or shoe covers) may be sufficient. For Level 2 and Level 3 the protection is more extensive, which includes waterproof coveralls and respirators. 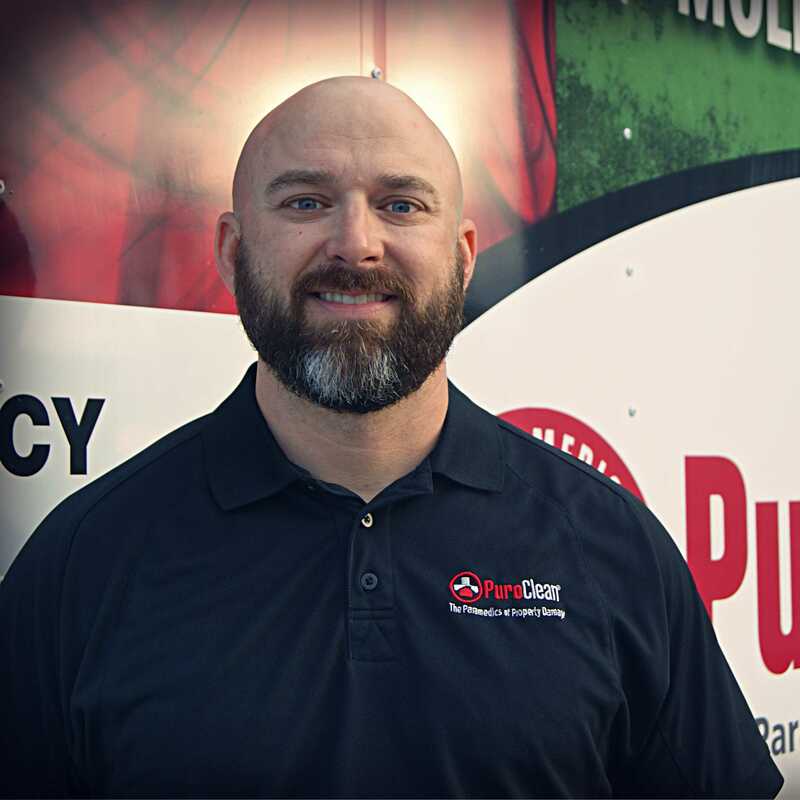 Our PuroClean Certified Restoration experts know when to use an air scrubber to clean the air, or a negative air machine with containment to prevent contamination from spreading to unaffected areas. We also make certain that all remaining surfaces are cleaned and sanitized with appropriate cleaners and EPA-approved disinfectants. Following a Category III black water loss, our flood restoration business understands and uses proper procedures, techniques, products, and equipment (such as professional dehumidifiers and high capacity air movers) to establish a Balanced Drying System to help restore property to its pre-loss condition safely and as rapidly as possible.